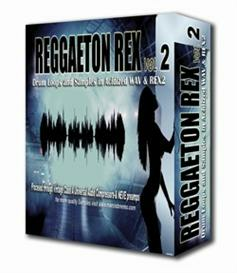 This is the second installment in the Reggaeton Rex Series. The most authentic sounds of reggaeton available to the public. 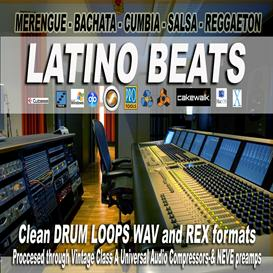 in ACIDICED WAV, REX2 and Apple Loops Formats. Live. or any Sequencer software or hardware sampler. using top of the line Universal Audio and NEVE gear. 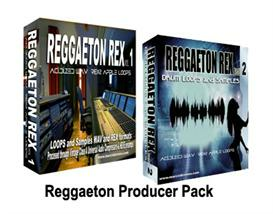 over 100 dembows in the latest styles, classic Reggaeton, Progressive, Merengueton, Abstract euro style and many many more, Professionally Programmed and edited, including Drops, Fills or REBOTES in Acidiced WAV, REX 2 and Apple Loops formats so they can lock in Sync and on time to your sequencer at whatever tempo you are working on. Percussion, Kicks, toms special effects, Guns, Bullets, air horns and all the goodies associated with reggaeton. Perfect for Composing, Remixing. for producers, DJs and songwriters. Don't be fooled by collections that cost much more and sound nothing like what real reggaeton "con sabor a calle" should sound like.